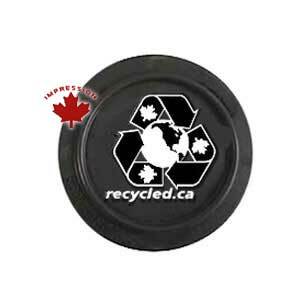 These black flexible rubber coasters containing shredded automobile tires will look great with your custom design printed onto them. 50% shredded automobile tires and 50% polyethylene. Size: 3.75 inch in diameter. 1 Colour imprint included $1.80 $1.30 $0.95 $0.88 each. 2 Colour imprint $2.30 $1.75 $1.35 $1.23 each.